Jo Ann Crank, 77 of the Forest Grove Community, passed away January 26, 2019 at her home surrounded by her family. She was born November 13, 1941 in her parents’ home in the Forest Grove Community. She married Roger Crank March 23, 1960. Jo Ann was very athletic in her younger years. She was a die-hard softball player up until her fifties and she played bare-foot. She was a pitcher and she also played third base. Other sports she loved was playing basketball and bowling. She was on several different bowling leagues. She had a love for nature and deer hunting. She and her family camped every deer season, having Thanksgiving in the woods. She hunted with her dad every year until he passed away. She enjoyed gardening, working in her flower beds, playing bingo and going to the casino. She was very caring and compassionate, mixed with a little bit of stubborn. 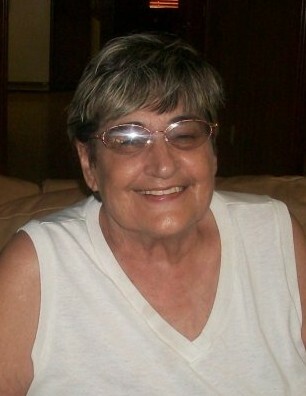 She was always there for her family and will be greatly missed by her daughters and sons-in-law, Rene McDaniel and Johnny Thompson, Rhonda and Curtis George all of the Forest Grove Community; sister and brother-in-law, Treva and Wayne Clardy; brother and sister-in-law, John Wayne and Teresa Whitten of McAlester; grandchildren, Randy McDaniel, LeAnn Lewis, Meagan Smith, Joshua George, Randi Ussery, Calvin McDaniel, Jessica McDaniel, Jessie Thompson, Rachel George; thirteen great-grandchildren; numerous nieces, nephews, other relatives and friends. Jo Ann was preceded in death by her parents, JC and Mary Jo Womack Whitten; husband, Roger Crank; and an infant brother. A celebration of life service will be 2:00 p.m. Thursday, January 31, 2019 at the Clardy Funeral Service Chapel with Aubrey Thompson officiating. Interment will follow in the Forest Hill Cemetery. The family will receive friends from 5:00 to 7:00 p.m. Wednesday, January 30, 2019 at the Clardy Funeral Service Chapel.